A former prime minister passes into the afterlife. He goes to judgement. But who is judging whom? Tony: If anyone has formed the view that I lack remorse, that is obviously something I regret. Sir John: And then it lacks contrition. Tony: For contrition, can I refer you to my previous answer on remorse? 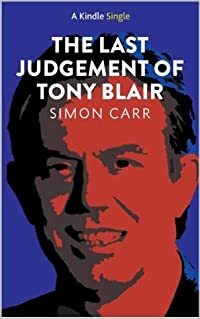 Simon Carr watched the British Parliament in action for a dozen years as sketch writer for the Independent newspaper. The author of a number of books and plays, his memoir The Boys Are Back was recently made into a film starring Clive Owen.